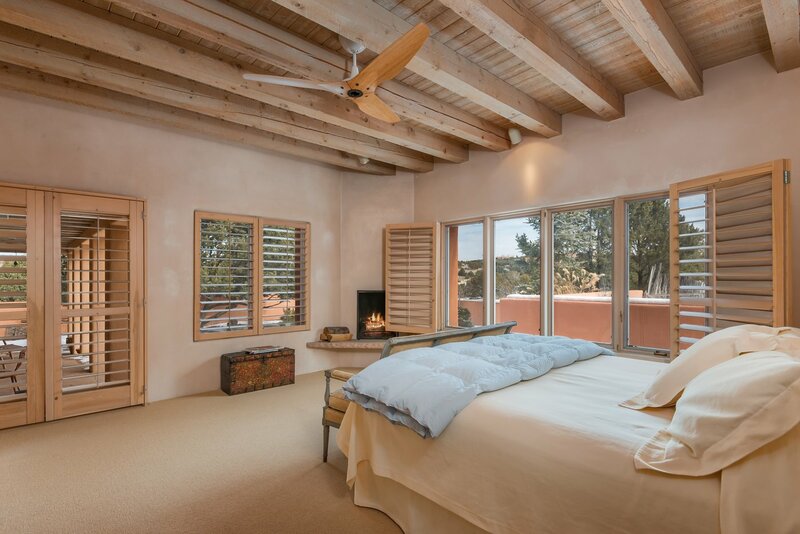 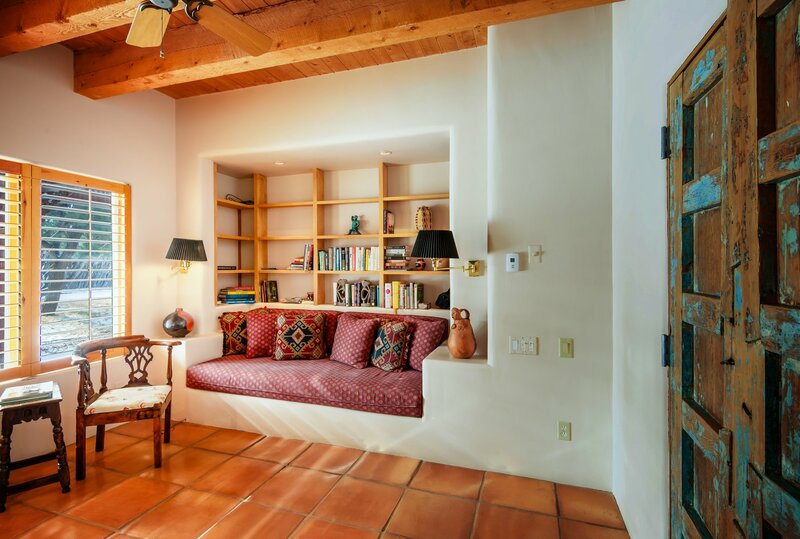 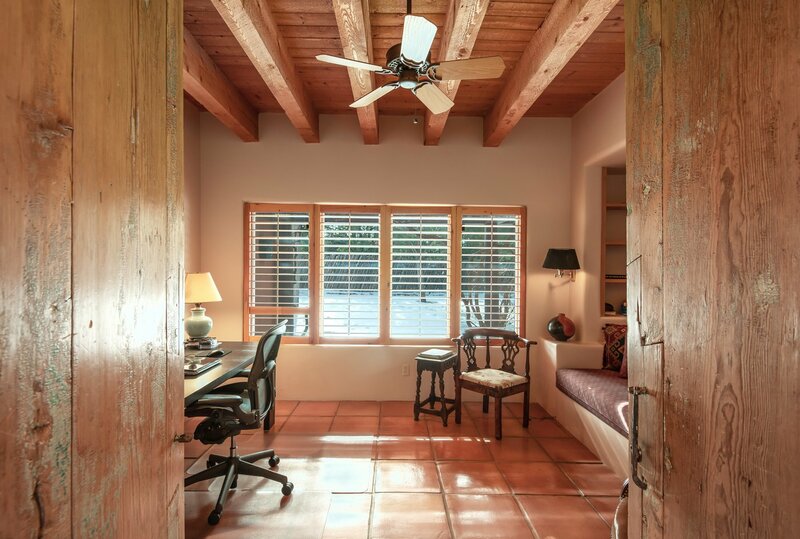 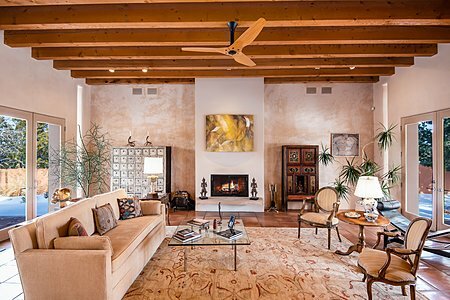 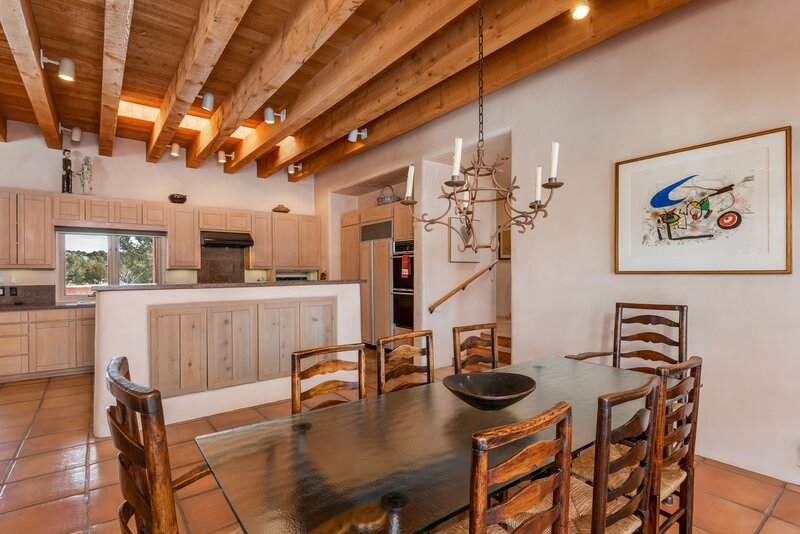 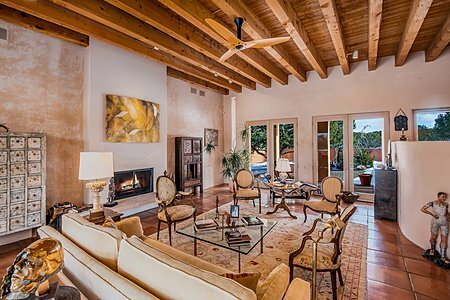 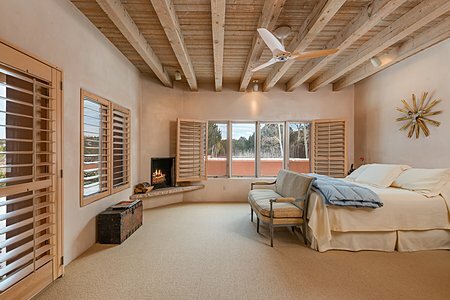 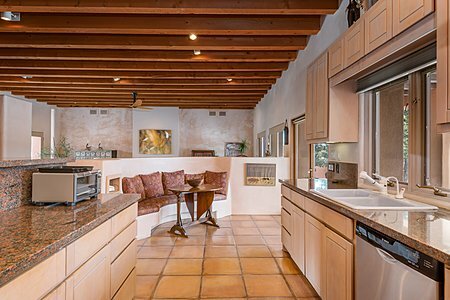 Contemporary Santa Fe design and aesthetic define this very private Salva Tierra home. Showcased by the classic open floor plan, the living room, dining room, and kitchen all flow together and share wonderful views and access to outdoor spaces. 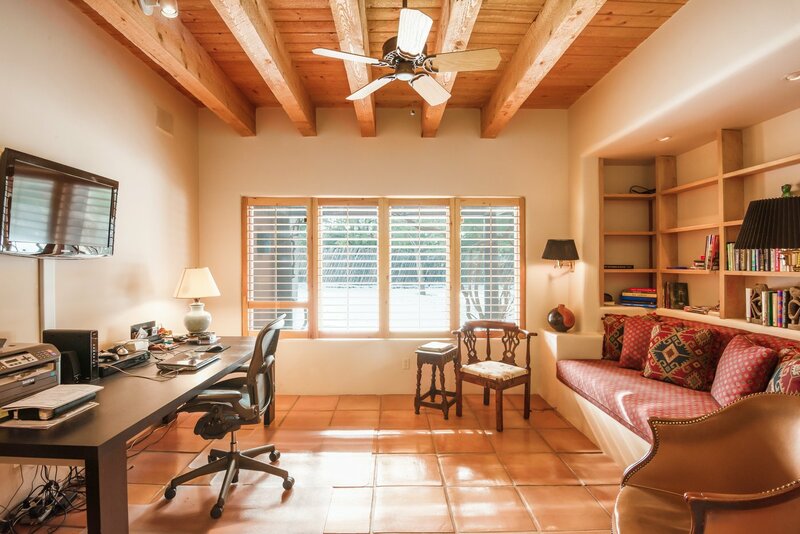 The 2 bedroom/study (built in daybed) configuration is ideal for those wanting a smaller home with quality finishes. 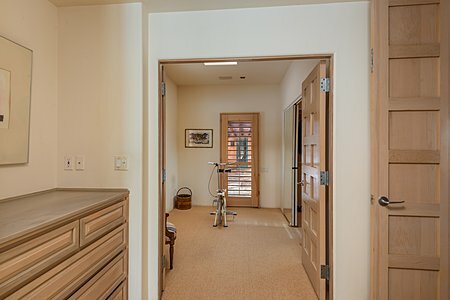 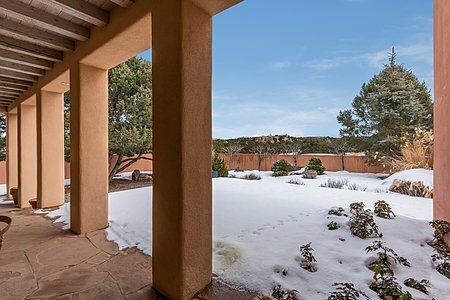 The "end of the road" setting is one of the quietest, tucked away settings in all of NW Santa Fe, and affords access to the new Recreation Center down the hill and across the street, featuring tennis, pickle ball and basketball courts, outdoor movies, and, beyond that, miles of trails for hiking. 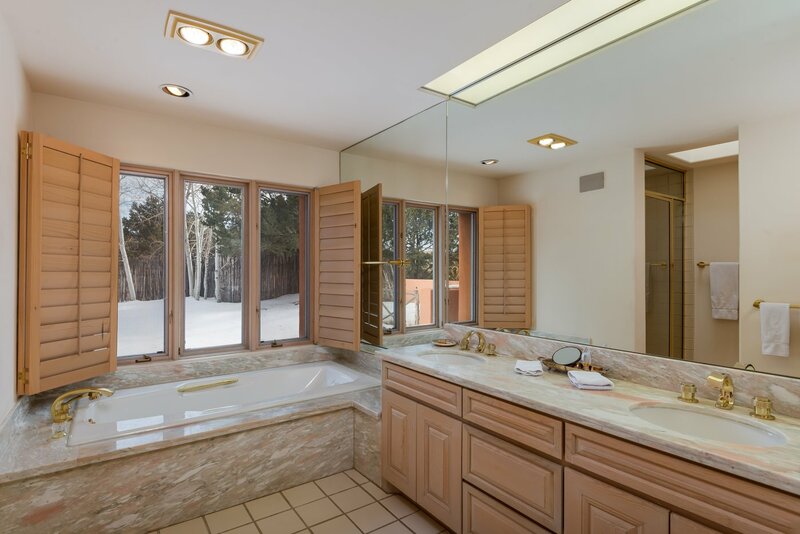 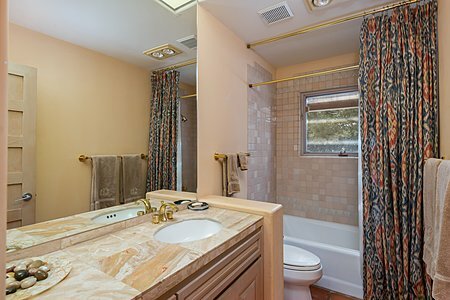 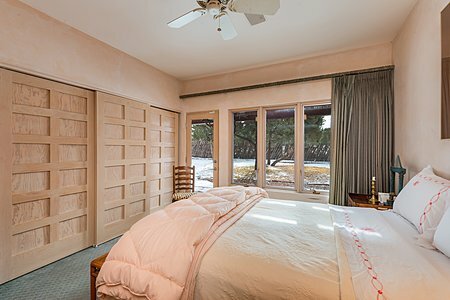 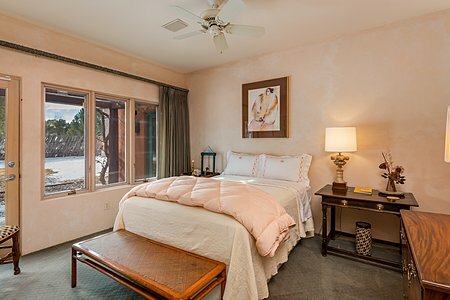 The master suite affords views off the the Sangre de Cristo Mountains, and has its own private portal and fire place, as well as an oversized closet. 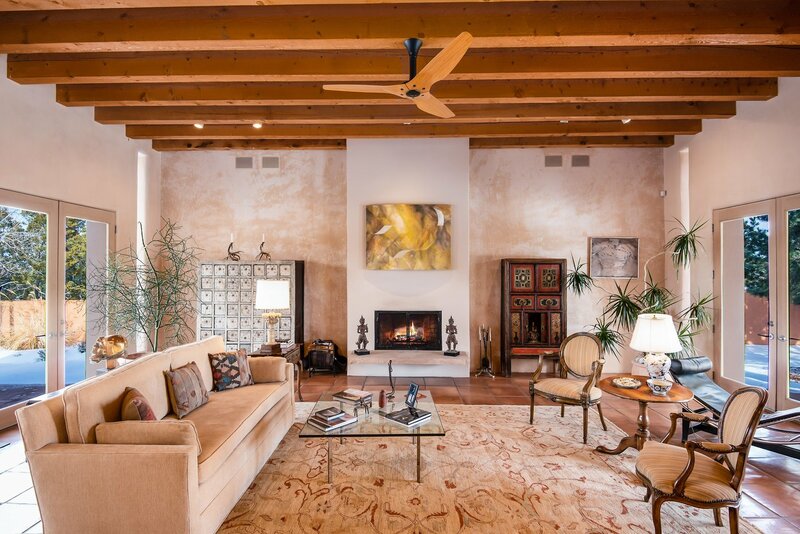 Music and more can be heard throughout the house or in certain sections, including outside, from the unit in the living room behind the beautiful antique Afriacan granary door. 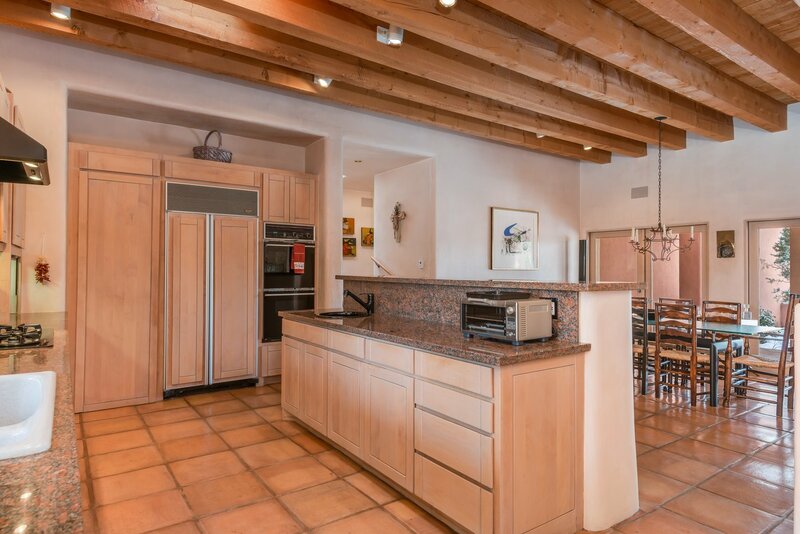 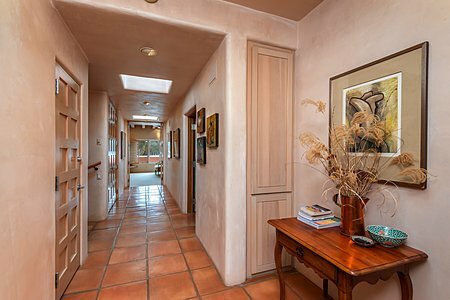 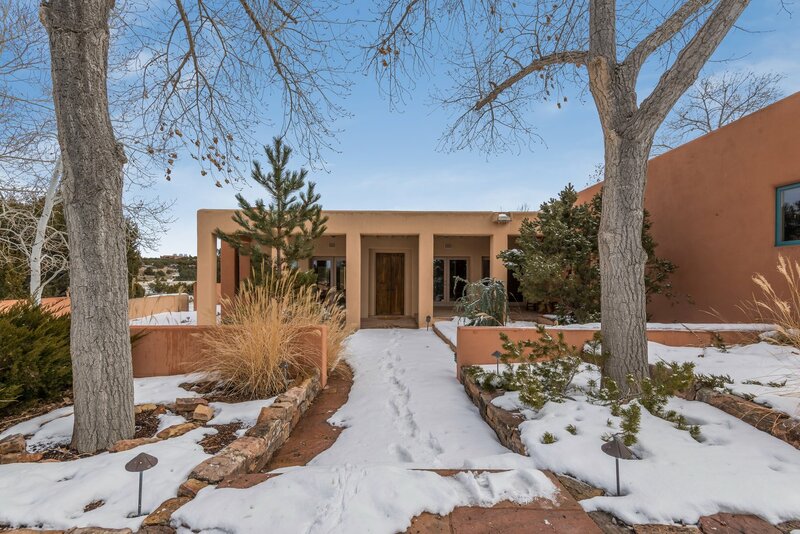 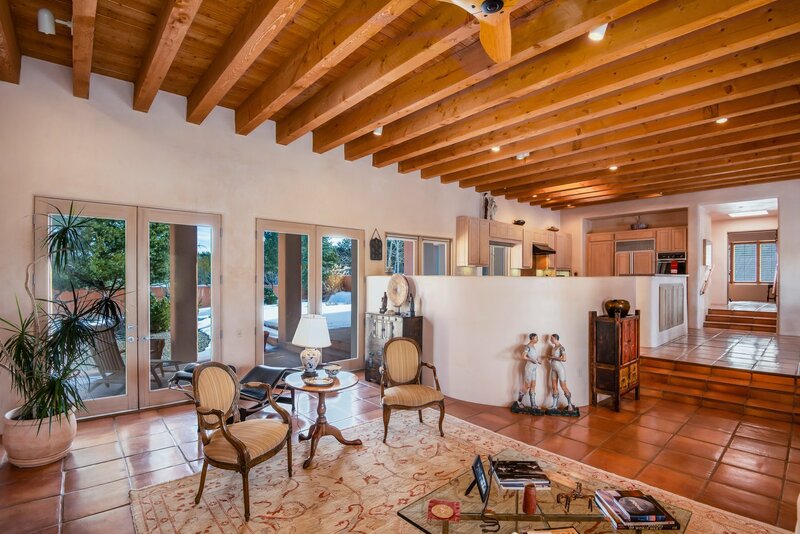 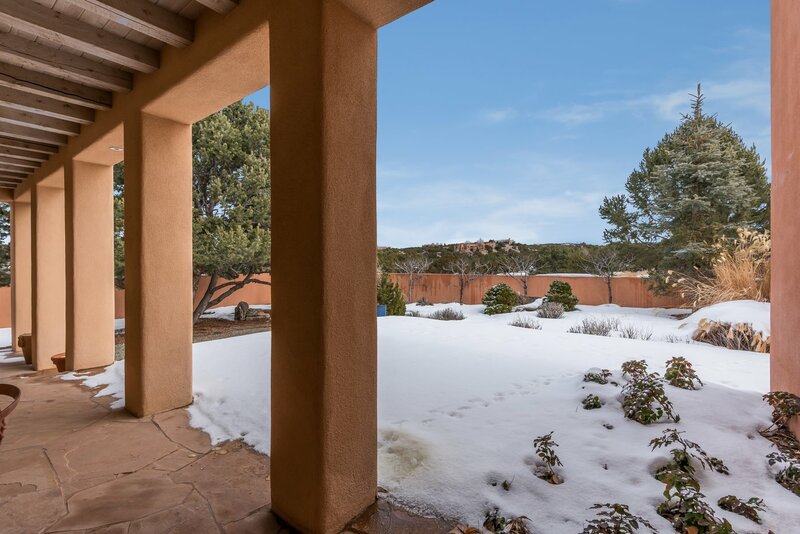 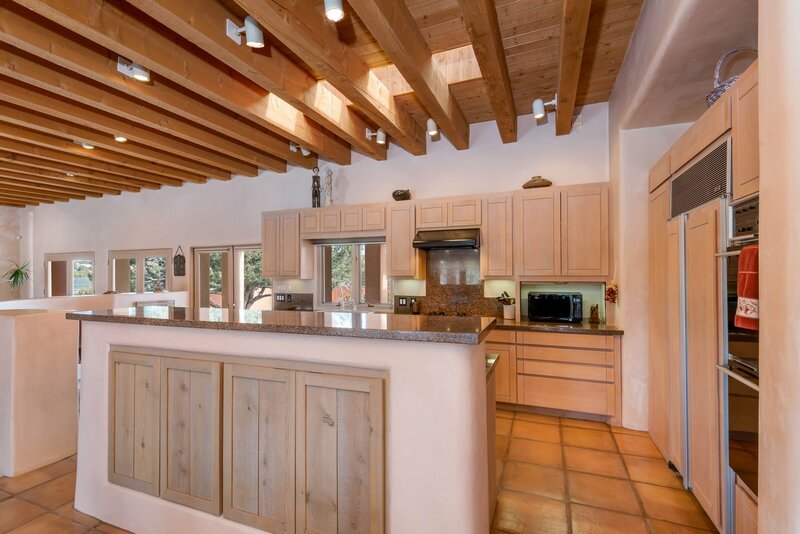 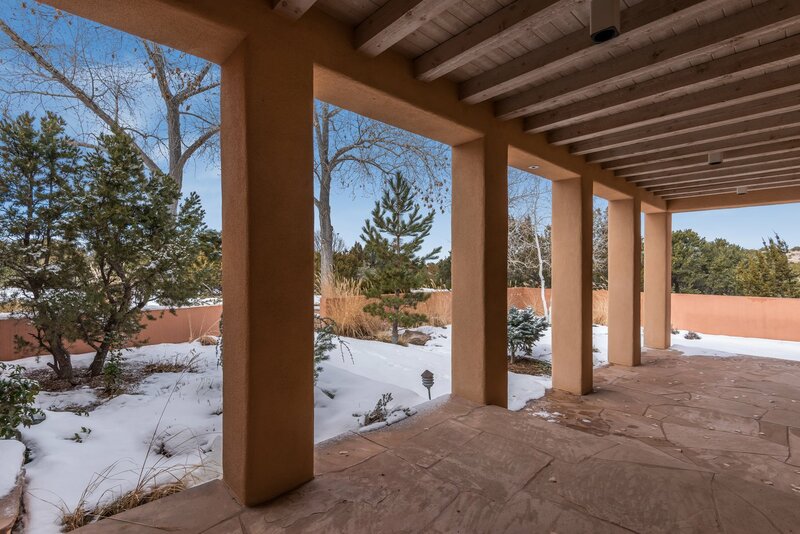 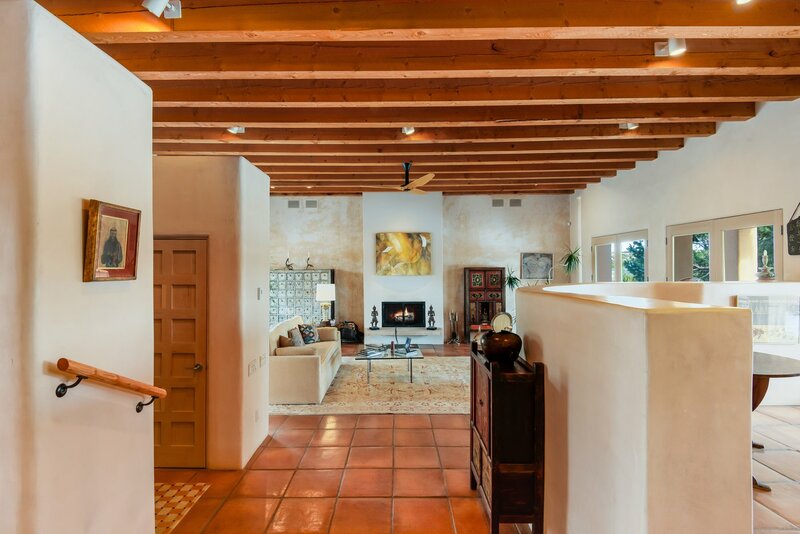 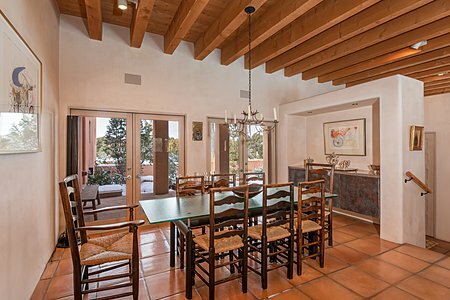 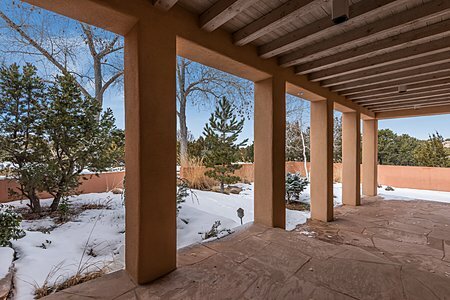 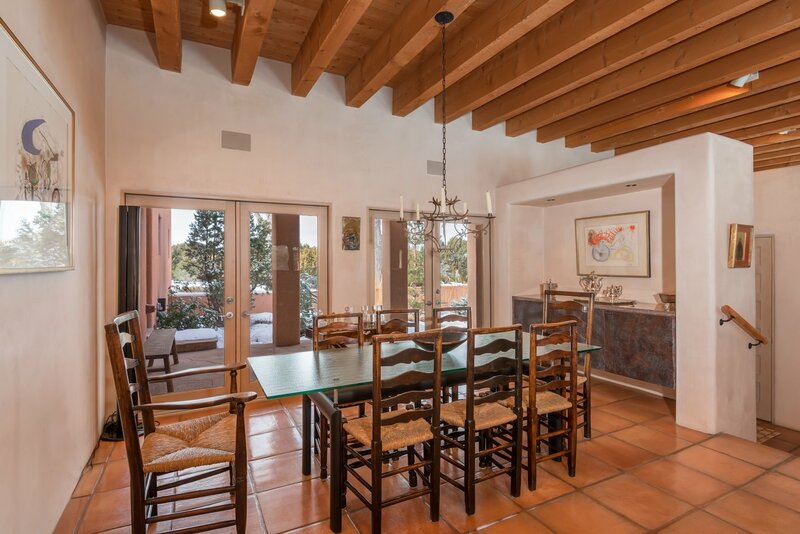 The living room is the focal point and gathering spot for this home, and couple with the high ceilings and wonderful views makes for true enjoyment of a great Santa Fe home.